Weld testing is a top priority at Axenics to ensure the highest quality of your completed product. We take this very seriously, as testing will confirm the integrity of our work and your component. It can also mean that we don’t have to go back and re-do work, which could slow a project and ultimately increase costs with staffing and materials. Weld testing is generally performed in two ways: non-destructive testing and destructive testing. Axenics uses the former every day, while destructive testing is seldom used in-house, unless specifically requested by a customer. Destructive weld testing largely means a weld component is broken apart or sectioned in order to evaluate its physical characteristics to determine if it is a viable product. Breaking, bending, impact, tensile and other forms of testing are implemented in destructive weld testing. This practice can be used to confirm compliance regulation, as well as certify the properties of materials used, and determine the quality of a weld. Again, this practice is rarely performed at Axenics, as we find non-destructive weld testing to be an acceptable practice to verify the welds performed in-house. What is Non-destructive Weld Testing? Non-destructive weld testing is true to its name as it does not mandate that a completed weld must have its functionality destroyed in order to determine its quality. The most-common non-destructive weld tests we would use for your components are hydrostatic testing and helium leak testing. 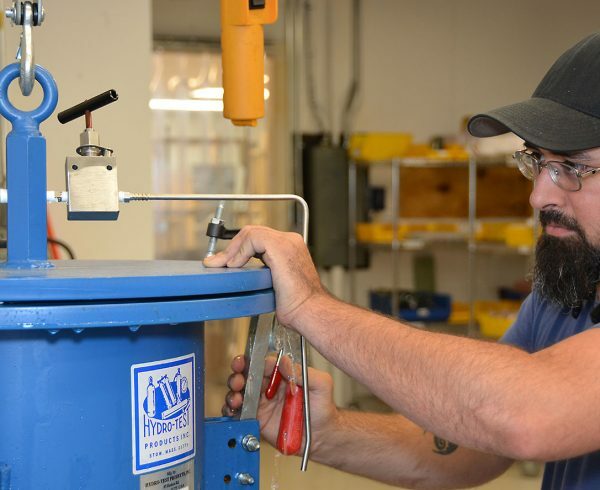 Hydrostatic testing is performed for 4B components that require stamping per the Department of Transportation (DOT), and Axenics is a certified and approved DOT testing facility. Axenics employs highly-qualified weld testers to utilize a straightforward and accurate hydrostatic testing process to assist companies involved in transporting hazardous materials to avoid potential penalties and safety hazards that can be associated with outdated or weak cylinders. 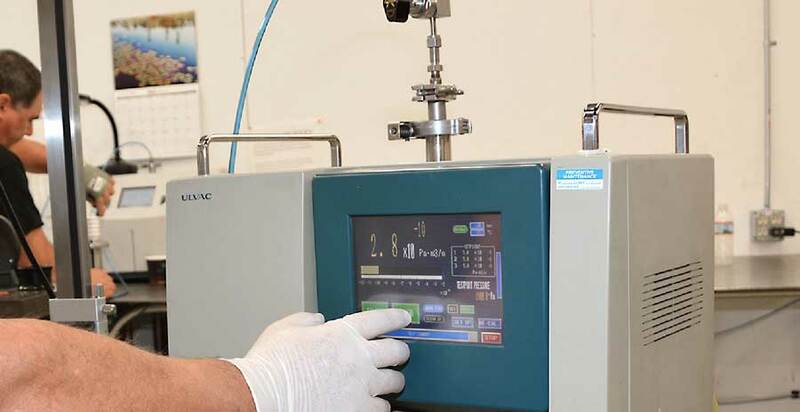 Any requalification hydro tests you may need would be performed by using our state-of-the-art hydrostatic tester. Hydrostatic testing is performed by filling a component with water, and then putting it into a tank and adding air pressure to the component. Leaks in the welds or the structure of the cylinder are found if pressure leaks out of the component. 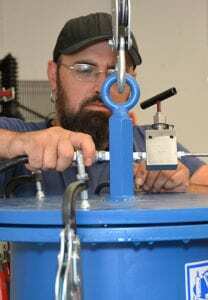 The test determines if the component can safely hold its pressure rating. This test is used for any welded components that will hold and transport liquids or gases. A Mass Spectrometer Leak Detector (MSLD) is utilized to ensure the safety and quality of your welds before arriving to you as an end product. A MSLD localizes and measures leaks that reside inside or outside a component. Helium, which is a tracer gas, is employed to fill the component that is connected to the leak detector. The MSLD pulls helium into the weldment and into the MSLD. If there is a leak, an audible alarm is sounded via the MSLD. The integrity and safety of your finished products is of the utmost importance to our team of experts. 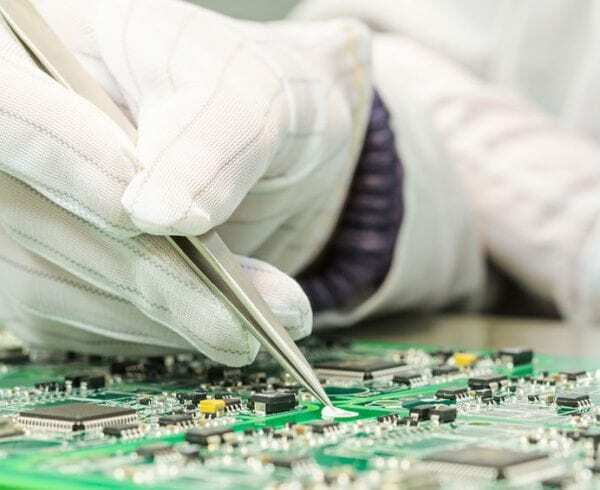 Our testing equipment is regularly maintained and tested itself to provide you with the highest-quality components available. From a single part to a complex system, Axenics can meet your contract manufacturing needs. Contact us to talk to a manufacturing specialist today.